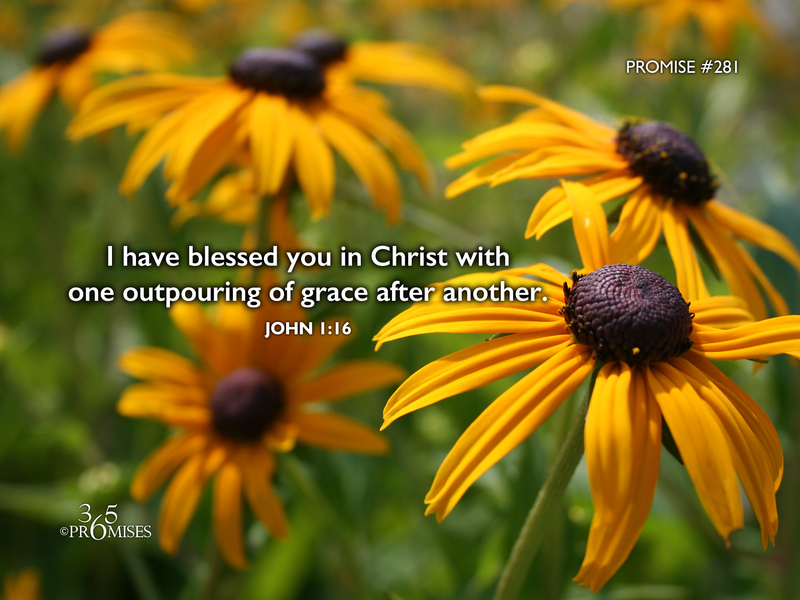 In Jesus, God the Father has blessed us with grace upon grace, heaped favor upon favor and blessed us with every spiritual blessing in heaven (Ephesians 1:3). Words cannot express the wonderful, bountiful outpouring of love and blessings that God has given us through the free gift of His Son, Jesus Christ. My prayer is that we would be able to tangibly grasp the unshakeable inheritance that is ours in Jesus Christ today. He exchanged His life for our life and made the way for us to be partakers of His divine nature and beneficiaries of all His blessings. Thank you God for your amazing grace and every good and perfect gift that comes from your hand (James 1:17).